Fosun International Ltd. is a China based investment company that deals in businesses covering investments, industrial operations, asset management, insurance etc. Founded in Shanghai in 1992, the company was incorporated in 2007 in Hong Kong. In 2011, the company was ranked 81 in the Fortune top 500 companies of China, and has also received the Top Chinese Non-state owned Enterprises of CSR in the same year. In 2012, Fosun was also included in the Forbes Top 2000 enterprises in the world. 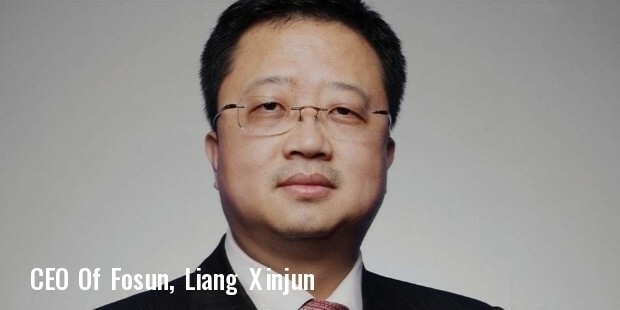 Five graduates from the Fudan University, Tan Jian, Fan Wei, Wang Qunbin, Liang Xinjun and Guo Guangchang have founded the Fosun Group in 1992,. The company started with doing market research, and gradually extended business into real estate, healthcare industry and other fields. In 2007, Fosun was listed on the Hong Kong Stock Exchange main board. With rapid profits in investments, asset management and industrial operations, Fosun became a premium investment company in China. Over the last few years, Fosun has made significant investments in buying international firms, with focus on healthcare, fashion firms, bank and tourism industries in Europe and the US. Some of the western brands owned by Fosun include St. John, the clothing label from America, and Folli Follie, the Greek jeweler. In 2014, the company acquired around 19% of BHF Bank, the Germany based private bank. The company also announced that it will acquire Meadowbrook, the US insurer, for $433 million, which is expected to be the first complete purchase of a US insurance company by a Chinese enterprise. 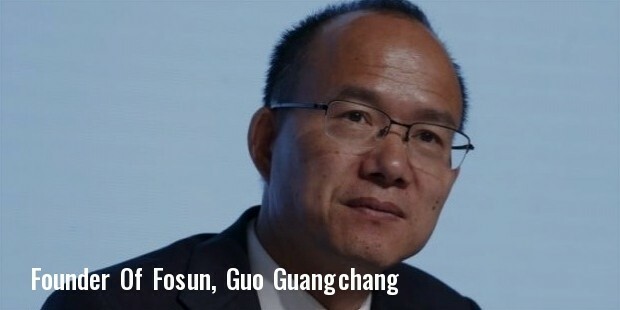 Fosun covers businesses with a number of subsidiary companies, including Nanjing Iron & Steel, Forte and Fosun Pharmaceutical for industrial operations, Focus Media, Club Medicine, Perfect World and Minsheng Bank for investments, and Fosun Capital, Fosun Chuanghong, Star Capital and Pramerica for asset management. The company also deals in insurance with Yong’an Insurance and Fidelidade, real estate with Lloyds Chambers, Citigroup Center, and One Chase Manhattan Plaza, and private hospitals with Luz Saude. Some of the latest honors received by Fosun include 536th rank on 2015 Global 2000 list of US Magazine, 2014 Best Multinational M and A Enterprise in Greater China Insurance Sector, and top 100 Comprehensive Strengths for 2014. The company also received ‘Enterprise with Significant Achievement Award at top 100 Hong Kong Listed companies. Some other awards received by the company include Asia’s Most Promising Company on Corporate Governance Award, “Innovative Enterprise” Business Merit Award from Portuguese-Chinese Chamber of Commerce & Industry, Triple A Greater China Award, and many more. Fosun has been an integral part of China’s economy, and solely aims at the country’s investment sector, industrial operations, real estate, and many other fields. With its efforts, the company is improving natural and business environments of the country, and helping in rejuvenating culture and economy of China.